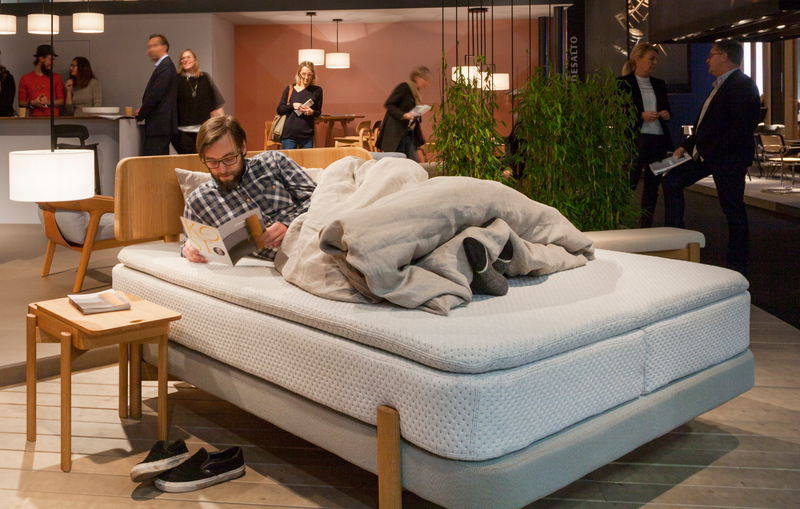 Meeting point sofa: The imm cologne is a good place to stay. 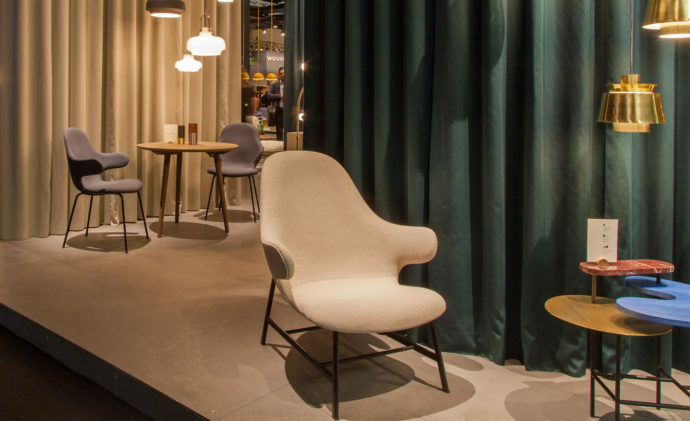 The imm cologne is a trade fair full of promise. Admittedly that is true of trade fairs in general. However, in Cologne it’s the case because it takes place in January, when the year is still young and the industry’s hopes and expectations are accordingly great. Meaning that the excitement is not just about furniture and textiles. Here, things get tested to see if they work and compared with what the others have to offer, even if all the prototypes and products are being tweaked ready for the final presentation in April in Milan. 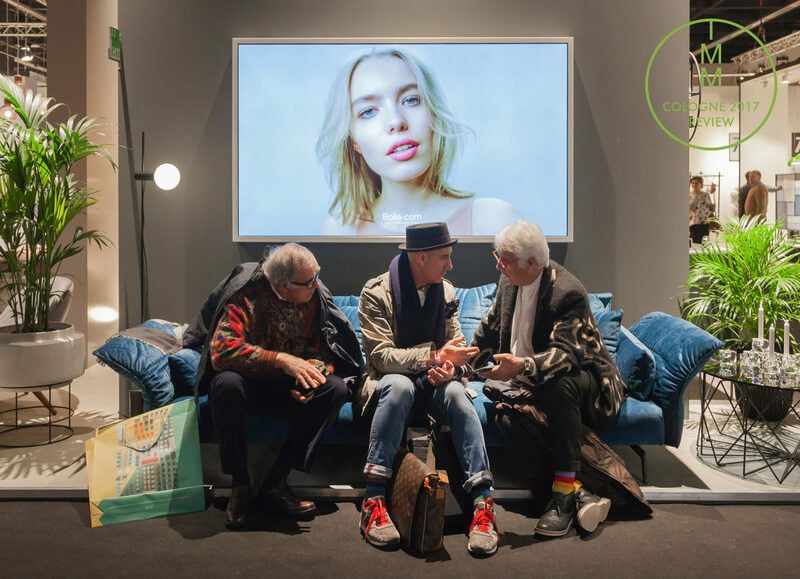 This is another reason why the imm cologne is a trade fair where the mood counts more than the quality of the novelties, where you can sense the direction things will go this year. Irrespective of how you might judge the one or other object, one thing will no doubt remain the same in 2017: Since there is no uniform style of the times, whatever shape it might take, everyone can enjoy a huge variety of different, mutually competing product lines – or suffer from their heterogeneous spread from one booth to the next. Be it wood or plastic, brushed or polished precious metal, opulent or modest, back-to-nature or en vogue, the residential collage of today continues to resemble a colorful puzzle made up of many elements that can be assembled at random or supplemented at will. Where the truly new is as rarely to be seen as the one or other threatened animal species, the carousel of variations and advanced versions spins all the faster. As already outlined in our preview (Fitted out or fitted in? ), Ulrich (Musil’s “Man without Qualities,” written almost a century ago now) had to decide how to furnish his “little castle,” and the styles and possible models he was able to choose from were so numerous that it thoroughly confused his sense of interiors. Meaning that at the end of the day, exhausted by all the possible permutations, he relied on his suppliers. It is they who provide him if not with qualities then at least with the corresponding furnishings and the image banged together from the bits and pieces. A small leap forward in time and you can see how all the designers, manufacturers and editors imagine interior fit-outs and residential life are today, at this very moment. As to the details, they were to be seen in recent days in Cologne at and around the imm cologne. 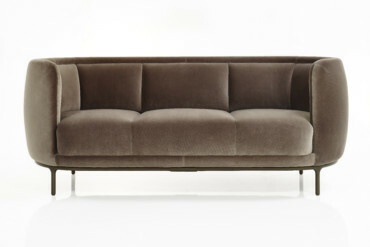 Not only at Cassina: Big size, elegant and luxurious at the same time. For some years now the world of homes and interiors has been decidedly chic. And it’s now getting even more chic and even more luxurious. This was not just to be observed at the trade-fair booths where the opulent and the excessive, the gleaming gold and the hand-sewn dominated with surprising regularity, dripping taste-free in expensive materials and exclusively satisfying the nouveaux riches’ need for distinction and ostentation through the medium of price. Doors, fronts and tops, covered in refined manner often with leather that snuggles up to the touch, seductively shimmering colored glass and finely brushed metal, all of this is currently thrusting its way into the higher end of the mass market. Good, sustainably made materials and craftsmanship are increasingly taking pride of place, under the slogan of customizing. 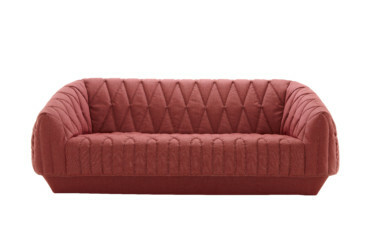 Sometimes we supposed that tiny people are getting lost in the sofas in XXXL format. Moreover, we not only seem to be standing on the shoulders of giants in terms of intellectual reach, but ourselves to be titans. 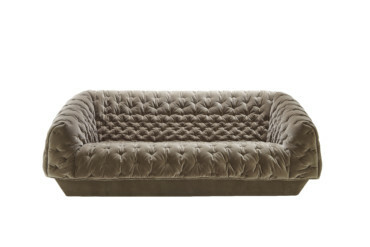 Or at least, and this may above all have to do with lounging about on luxurious sofas, many manufacturers in the upper segment of the market proudly presented seating worlds in which you might easily be forgiven for feeling like a Lilliputian who has been banished to the land of giants. The buzzword here is XXXL. Evidently, for many status is first and foremost a matter of sheer size. Make ... great again? Something that, despite the general uncertainty, thanks to Mario Draghi and the ECB an increasing number of people are willing to pay for. Housing shortages in the conurbations? Nonsense. Never heard of such a thing. At many booths what we witnessed was that we little people simply often get lost in the immense reaches of these huge sofas, into which almost as a matter of course a récamière is now integrated, the way they do in their feel-good bubbles. 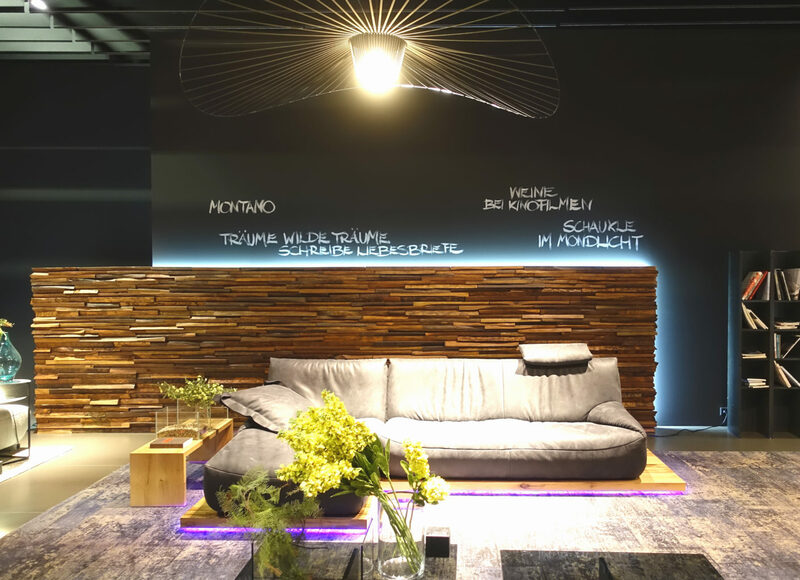 If I am not completely mistaken, at the same time hopes are nevertheless being kindled that the sound, forever sustainable products (as they are durable in terms of materials and aesthetics, meaning style) could increasingly gain ground, too. Expansively opulent or modestly sound, that is just one of the alternatives available at present. The wish and need, wherever we look, to refurnish and redecorate one’s own four walls continue to be supported by all the usual marketing, but the opportunities for the longer-term choices seem to be on the up again. 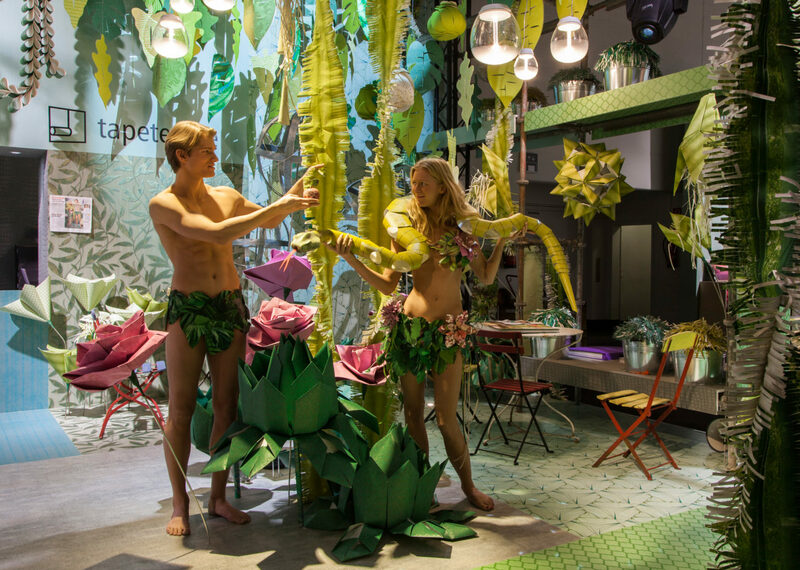 We don't know if the paradise have been committed with furniture and wall coverings to Adam and Eve. Our relationship to time has evidently got so out of kilter as regards living and thinking that one can be forgiven for being confused as to which of the time ecstasies one actually happens to be in. Is it still the present, or already the future? And it is thus a little strange if the new is only rarely more than the embodiment of an old need given a new coat of paint. Which is to say: If today is already tomorrow, why then is yesterday so often today? Or today precisely yesterday and not tomorrow? And why then should not yesterday not only be up-to-date today, but likewise tomorrow or the day after tomorrow? Clear, as mud? At any rate, anyone wishing over-effusively to talk or compel the future into the present comes under suspicion of not taking it too seriously as an object of our non-knowledge. 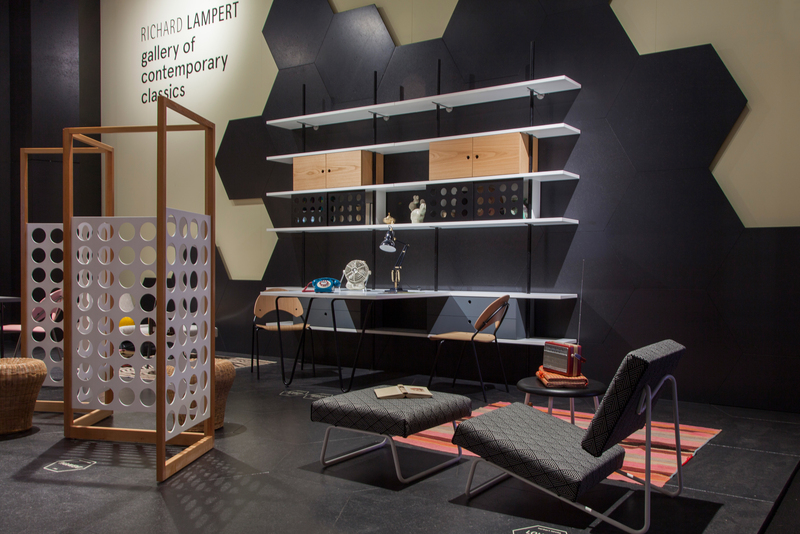 One possibilty to react on the colourful variety: timeless classics by Richard Lampert. The vintage boom of recent years has among other things also exposed the growing need for orientation in a world of complete surfeit. Richard Lampert not only identified the need for the tried-and-true fundamentally and at an early point, as did others. The difference was that from the very outset he responded to it, with a clear agenda. 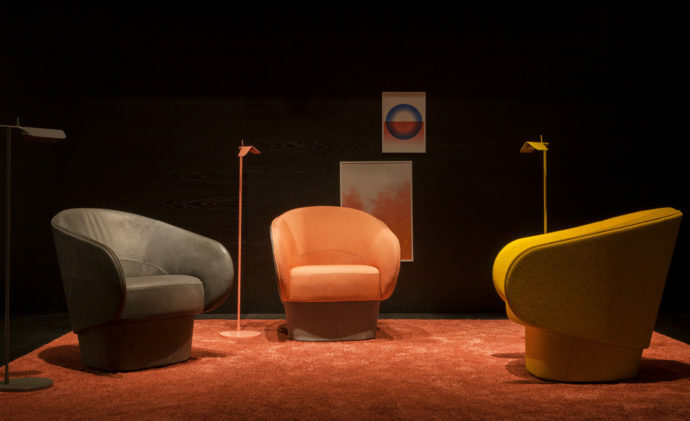 And here at the imm he is again strongly conscious of tradition, not that this should be confused with some nostalgic posturing, and has revived three designs from the 1950s. Who is the walrus? Paul Schneider-Esleben's chair "TT54"
Turning back to analog music at Richard Lampert. 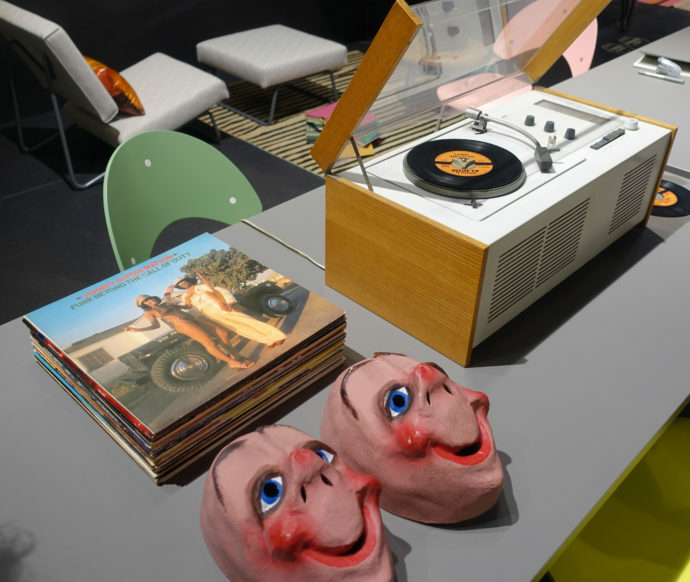 The very images and sound of the invitation (Igor Records) exudes the flair of the old days, broadly alluded to in titles such as “I am the Walrus” or “You Take My Self Control.” The path taken also continues in the design of the trade-fair booth with the Rams’ Braun hi-fi set, a portable radio and a stack of LPs. No streaming, here. The bonus track “Kiss that Frog,” a 1953 hit, also references the special design that came out five years later, namely Herbert Hirche’s “Frog-Stuhl.” This stacking chair originally designed for lecture theaters stands out for a seat (the frog’s mouth) that juts out far over the metal frame and a strikingly angled backrest. 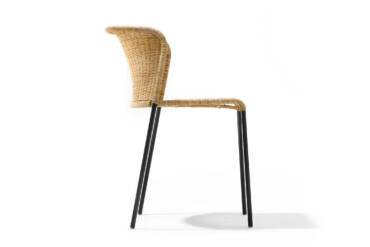 We can admire Paul Schneider-Esleben’s “TT 54” rattan chair for the refined elegance of the days of the Economic Miracle (caringly adjusted to today’s standards of ergonomics and comfort). 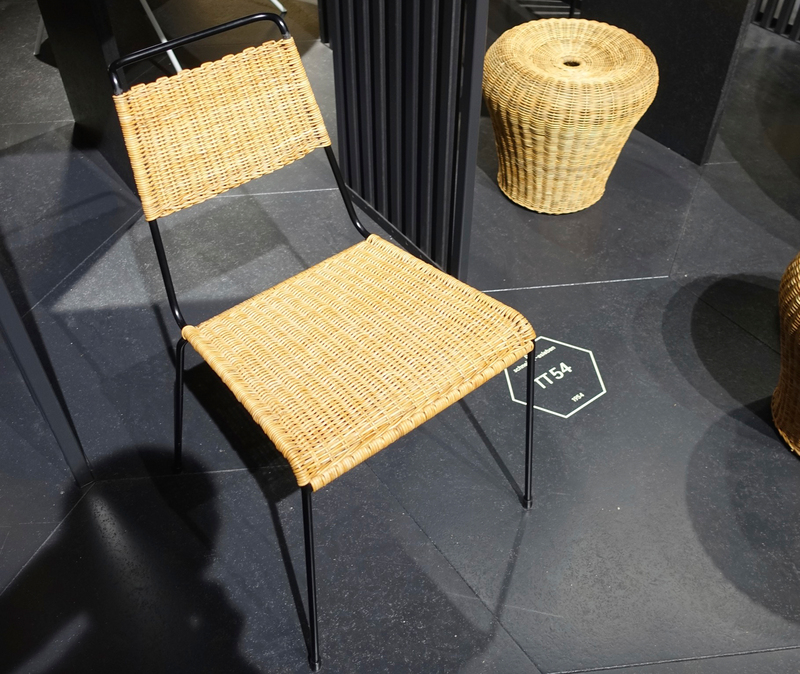 While – in keeping with “It Always Comes As a Surprise” – with Hirche’s “Santa Lucia,” a chair which has a comfortable and strikingly moody rattan seat with a backrest that doubles up as an armrest, one can sense the mild south wind at our ear. Designed in 1969 for the Stuttgart trattoria of the same name, the stacking chair in natural rattan really cuts a fine figure indoors, as it does outdoors in a version made of weatherproof polyethylene. 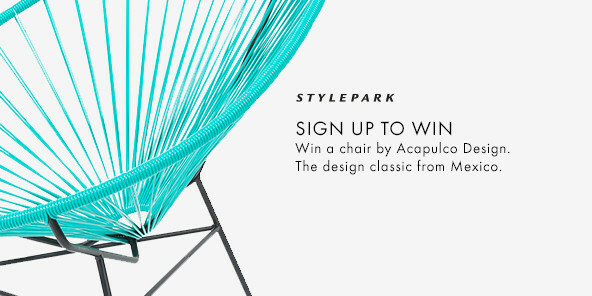 Should one now say that this is because the chair simply has style? 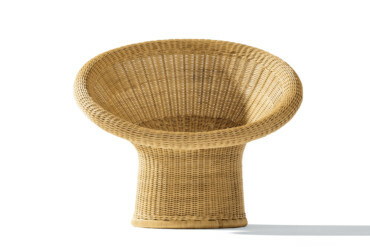 Whereupon one invariably hears the chords of “That’s Amore.” Egon Eiermann’s 1949 “E10” basket chair has long since been part of Lampert’s line, as has his “E14” rattan stool, which came out eight years later. 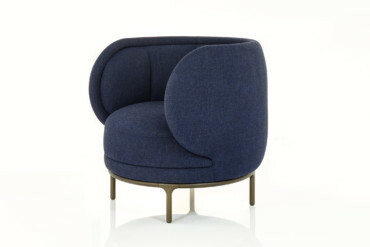 This highly promising revival is rounded out by Hirche’s “H55” armchair – with its tubular steel frame and an upholstered plastic shell, small and compact as was customary in 1955. Long before the days of XXXL. 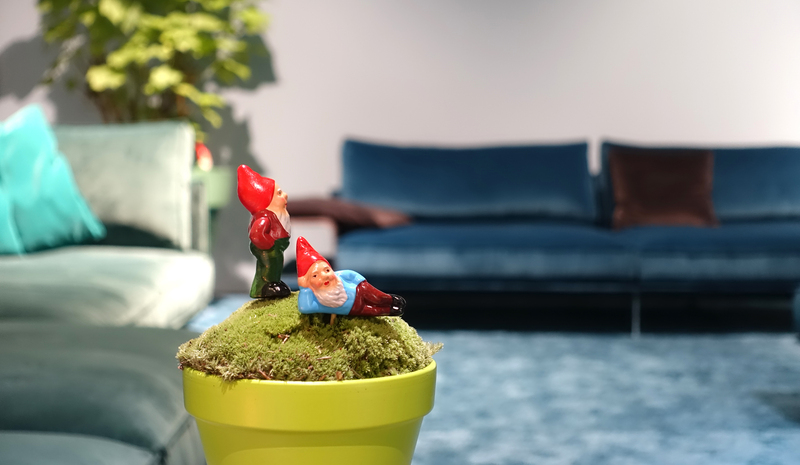 Dwarfs only in pots: If seating or lying - you can do both on the countless new sofas at imm cologne 2017. Tecta shows how you can advance things found in the treasure troves of tradition – above all with “Lot,” Wolfgang Hartauer’s marvelous new table; in 2015 he developed the ingenious “K8” side table for the Lauenförde-based manufacturer. And you really don’t need to be a sage to note how “Lot,” made of solid wood and with a fold-out top, formally speaking derived from basic geometric shapes and thought through down to the smallest details, will take its place among the “classics” beyond all the rages of fashion. And Daniel Lorch’s “Split Chair,” likewise presented by Tecta, is certainly original: It consists of a piece of tubular steel, split in the middle and then bent, a process that would be quite inconceivable without high-tech freeform bending solutions and 3D lasering of a curved object. Special edition at Spectrum: De Stijl will celebrate its 100 years - with Gerit Rietveld. One of the surprises: table "Lot" by Wolfgang Hartauer for Tecta. When it comes to the real classics, Spectrum Design and Rietveld Originals are celebrating a century of De Stijl in Cologne. On show are Rietveld’s “Military Stool” in a limited edition of only 100 (made originally in 1923 as part of a furniture collection for a Catholic military hostel in Utrecht) as well as a chair designed in 1942 for Amsterdam department store Metz&Co. – the Nazis proceeded to forbid its manufacture. 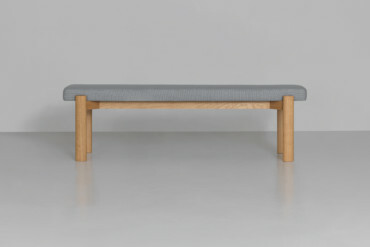 Not just at Artek: Big tables for hosting many guests, often aside upholstered benchs. Whether the reason is that ever fewer people sit down together round the table to talk, eat and drink is not known for certain. 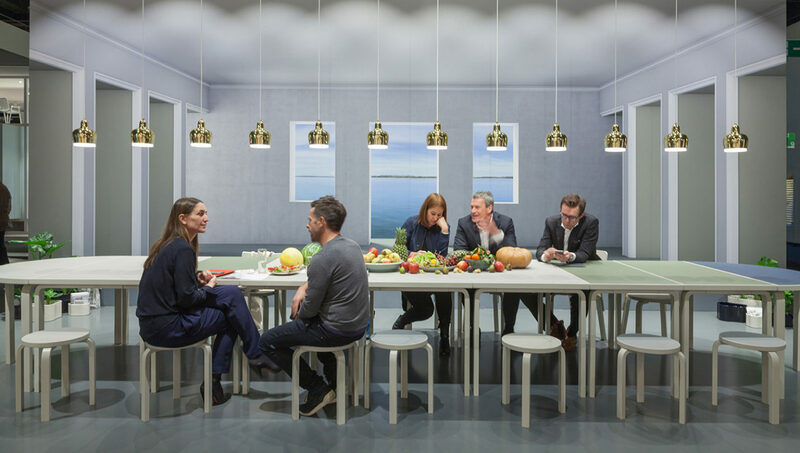 But the fact is that in Cologne there were not only a very many very large tables to be admired, but suddenly upholstered benches to go with dining tables again – e.g., at Walter Knoll, Cor, Koinor and Rosenthal. 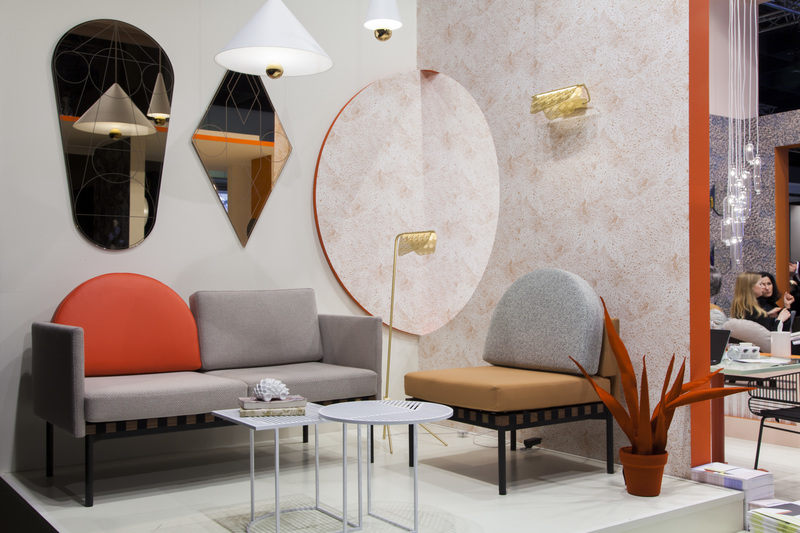 Arco presented the entirely upholstered “Close Bench” by designer Gudmundur Ludvik in the Design Post as a supplement to his “Close” product line – in two, three and four-seater versions and with either wooden or steel legs. It can’t thus be long until we see the return of the corner bench. Another highlight at Arco was Jorre van Ast’s “Trestle Table” with its two massive trestles made of diecast aluminum. They’re height adjustable thanks to a thread at the top end and on them rests a huge top defined by a narrow groove that tapers outwards at the ends. 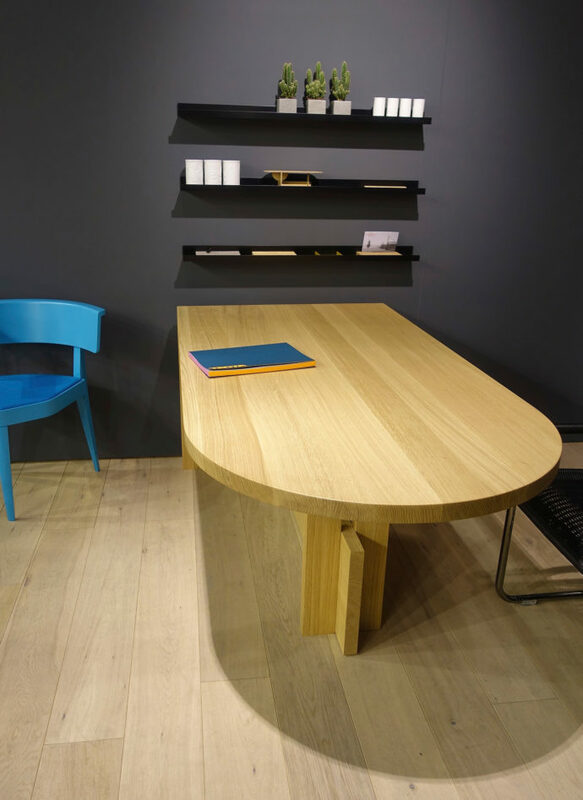 The oak used for the top originates in the vicinity of the Arco headquarters in Winterswijk, the Netherlands, as part of its “Local Wood” collection. 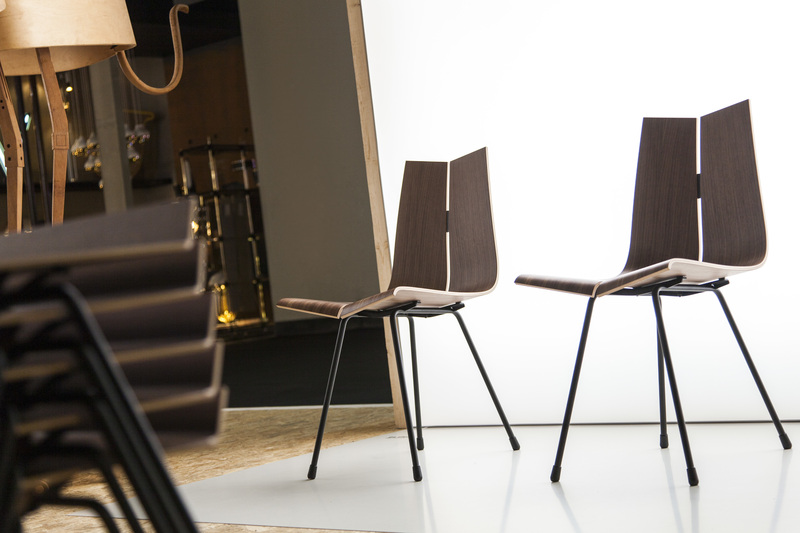 One of the stars at Horgenglarus: "ga" chair by Hans Bellmann designed in 1955. Horgenglarus has a tradition of quality and constancy. 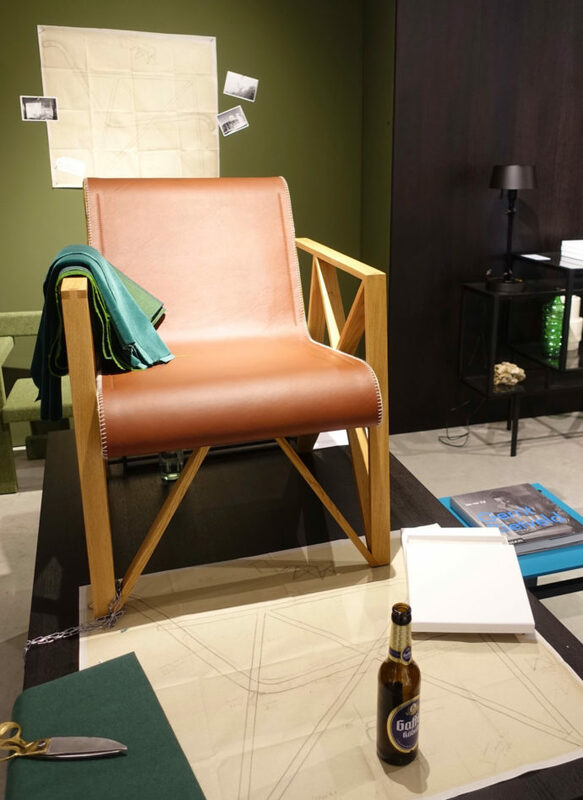 Alongside the re-edition of Hans Bellmann’s 1953 “Studio Table,” which if compared with the Arco version gets by without a heavy cast-metal frame and thus looks far lighter and more refined, the Swiss chair and table makers are presenting other Bellmann designs from the 1950s. 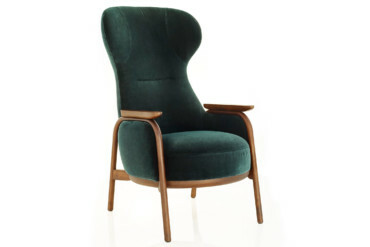 These include the “Single-Point Chair,” a milestone in Swiss design history and the zenith of Bellmann’s oeuvre: The plywood seat is attached to the frame with a single screw through a central opening that gives it a slight springiness. 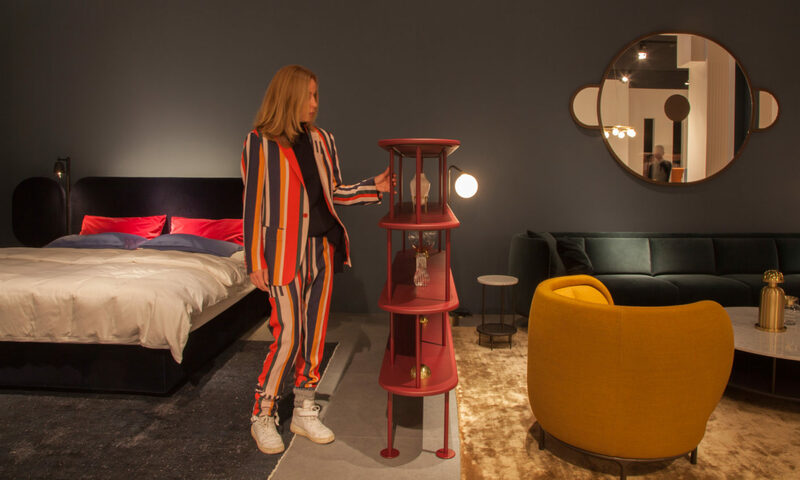 It becomes clear that where outsized items are not the focus, people are gladly harking back to the refined modernity of the 1950s. Although we are not exactly living in an era of strong ties to history and tradition, our own four walls evidently still symbolize more than just a practically furnished functional frame. What Sissi would have said to this Spanish design? 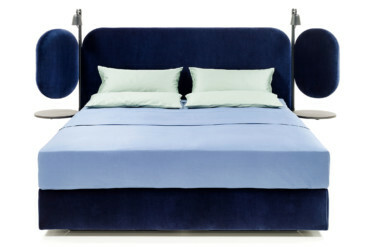 "Wing" bed by Jaime Hayon for Wittmann. Not just tradition, but also irony: Hayon à la viennoise. 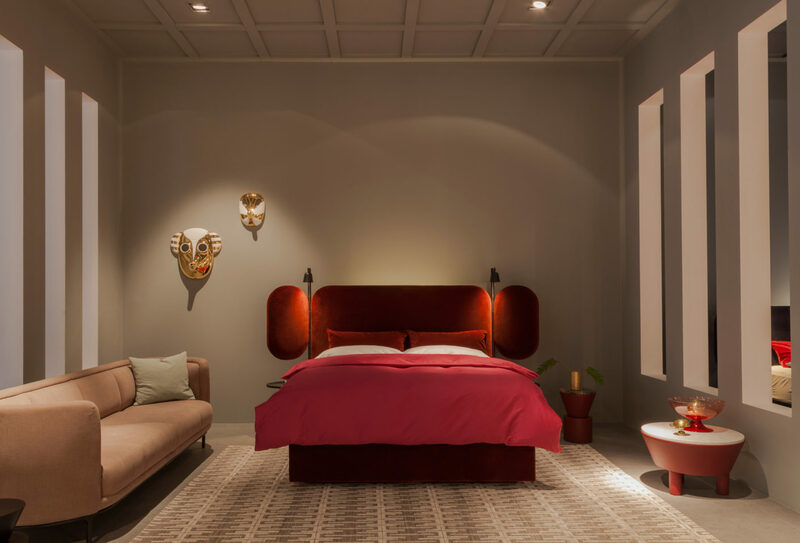 Austrian manufactory Wittmann has set out to collaborate with Spanish all-rounder Jaime Hayon to draw on the spirit of Viennese Modernism to create an eclectic, but highly successful retro-style. Given this mix and since yesterday can also be tomorrow, when viewing the outcome one could easily just as well speak of a pioneering re-edition of the alliance between Spain and the Habsburgs. The result is a truly extravagant, indeed imperial collection defined by charm and irony, starting with the zestful “Wings Bed” and including various side tables and shelves, on whose “silky-soft leather surfaces” beautiful and beloved items will find their place, through to sofas, a small armchair, a large lounge chair and a wing chair from the “Vuelta” series. In Spanish, “vuelta” means, among other things, a turn, twist, return, and thus the backrest reaches round the corner, becomes the armrest and embraces the seater in a hug. Here, clearly, tradition also gets embraced. Each detail is full of allusions, seems as playful as it is contemporary, or, if you so will, like a postmodern farce or a pastiche. And thus decidedly Viennese and, as always the case with Jaime Hayon, truly delightful. Whether it was the zeitgeist whispering in everyone’s ear or it simply fell from trend heaven, the gesture of embracing as structural principle is to be encountered not only in Hayon’s Austro-Imperial studies. Elsewhere, too, armrests stretch out and seat shells extend forwards, as if they wished to spread their arms protectively around us stressed and tormented ones, to receive us, calm us and console us. Sometimes this looks a bit as if we were being dispatched to the world of animated Plasticine figures. 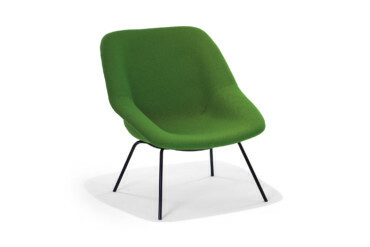 There are alternatives to this gesture that likewise seek the limelight: Any number of variations on the theme of Jasper Morrison’s 2008 “Monopod,” massive, albeit not overly large armchairs without feet that consciously forgo lightness and exude pure tenacity, and a somewhat more strongly textured variant of the same principle that is more strikingly quilted. 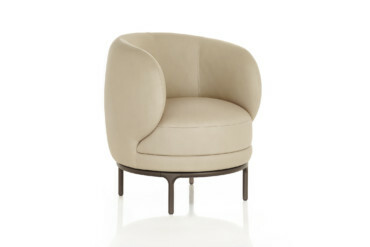 Embracing armchairs: "Catch Lounge" by Jaime Hayon for &tradition. Colour for security: "Roc" by Uwe Fischer for Cor. 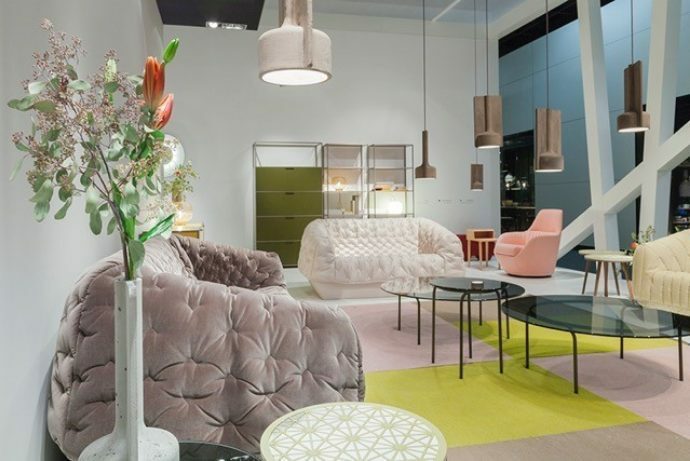 Otherwise, here and there those browsing round the fair will come across a penchant for pastel-colored softness and maiden’s chic, both of which sit well with the new need for luxury. Pale and old rose tones are more fitting here than powerful, full-bodied colors. Berry hues, an occasional lemon yellow, not to mention an armchair in curry, introduce some tasty natural tones. “Petite Fritture” is possibly a perfect example of this wish to combine the youthful with soft echoes of feudal finery. 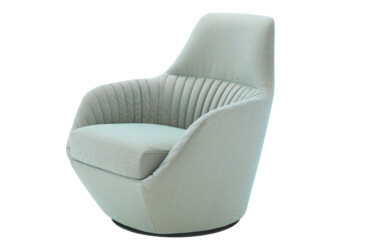 And an armchair such as Marie Christine Dorner’s “Amédée” for Ligne Roset (continued in “Cover 1” and “Cover 2” with differently quilted canopies over a sofa block) fits well here, too. 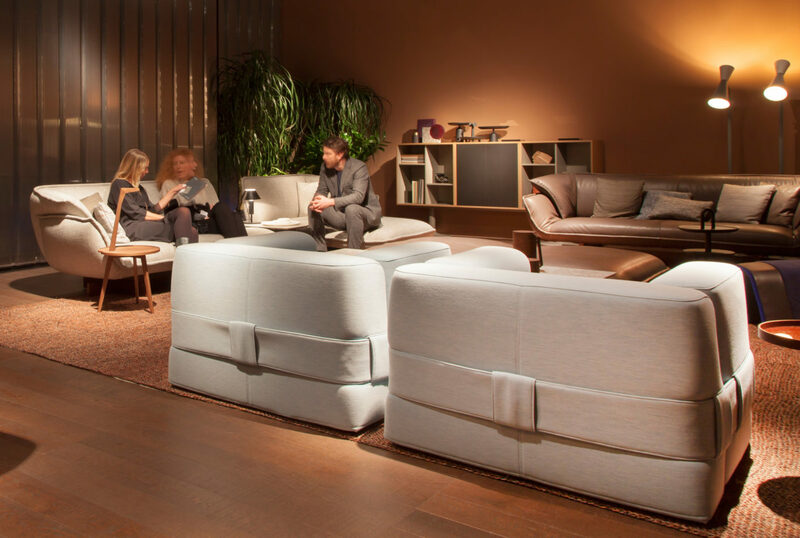 Ligne Roset also explores the opposite approach – in the form of “Back Pack,” a small two-seater on a metal frame, the cover of which is rolled up at the upper end and is intended to embody the youthful zest for improvisation. 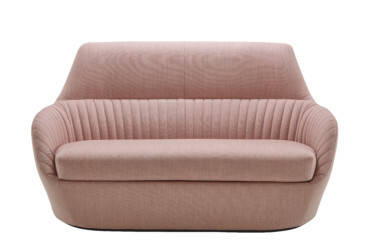 Aristo chic: Marie Christine Dorner's "Cover" sofa and armchair "Amédée" for Ligne Roset. Furniture with girly flair? The booth of Petite Friture. 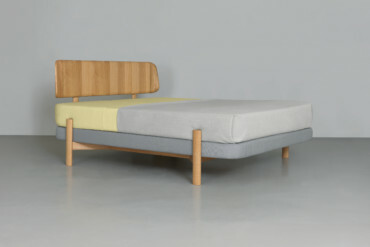 At the end of the fair day, designer Moritz von Schmeling go sleeping in his new boxspring bed "Kosi" for Zeitraum.